The holidays come with many joys. When you realize how quickly that time of year is approaching, you are probably thinking about a lot: what presents you are going to give, how you will decorate your home, and which charities you would like to support. One very important thing that you may be neglecting is your plumbing. As the top plumbers in Suffolk County, we have noticed that most people don’t give their plumbing a second thought, until it’s too late. There’s nothing like a clogged garbage disposal or backed up toilet to rain on your holiday festivities. 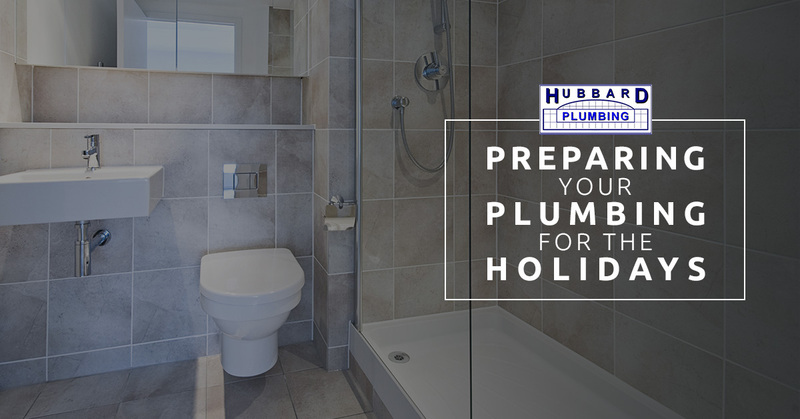 Therefore, make sure you are giving your plumbing special consideration this holiday season with these handy tips. The bathroom is probably the room that faces the most risk for a plumbing disaster when you have guests. Whether your mother-in-law is staying for the weekend or you’re having a ruckus ugly Christmas sweater party, you want to make sure the powder room is prepared. Make sure that you have a plunger handy in the event of the cheese plate causing some personal problems for your guests. This will save your toilet and your guest some embarrassment. In addition, make sure you have a small trash bin located somewhere in your bathroom. This way, guests will not feel compelled to flush tampons, tissues, napkins, or whatever is rattling around in their pockets. With a full holiday menu to prepare, your garbage disposal is likely going to be working overtime. Prevent any unfortunate kitchen disasters by preparing your garbage disposal for the festivities. Pour ice and salt down the drain, and turn the disposal on while you run cold water. This sharpens the blades and clears out any gunk that may be lingering. If your shower drain is already slow, having twice as many people using it isn’t going to help matters. The last thing you want is the last person getting ready to be standing in a foot of water while they shower. Fortunately, clearing clogs is relatively simple. One strategy that you could probably implement right now is baking soda and vinegar. Sprinkle baking soda into your drains, then pour vinegar on top of it. Let it sit for a few hours, then wash it down the drain. After you clear it, go ahead and install a drain strainer to prevent any hair from creating clogs in your drain. Have you been noticing that your plumbing isn’t functioning properly? Maybe it’s not just the shower drain that has slowed; really, all the drains in the house are slowing down simultaneously. You might also notice that there are strange gurgling noises when your drains are supposed to be moving water through the pipes. These symptoms indicate a sewer problem, and this could be a catastrophe if it comes to a head while your family is visiting. If you suspect that there is an underlying issue with your plumbing, give your plumber in Suffolk County a call ASAP so we can come and take care of the issue immediately. Getting your plumbing ready for the holidays? We would love to help. Contact Hubbard Plumbing today.